A Greek F-16 fighter jet crashed at a military base in Spain killing ten people, the Defense Ministry says. 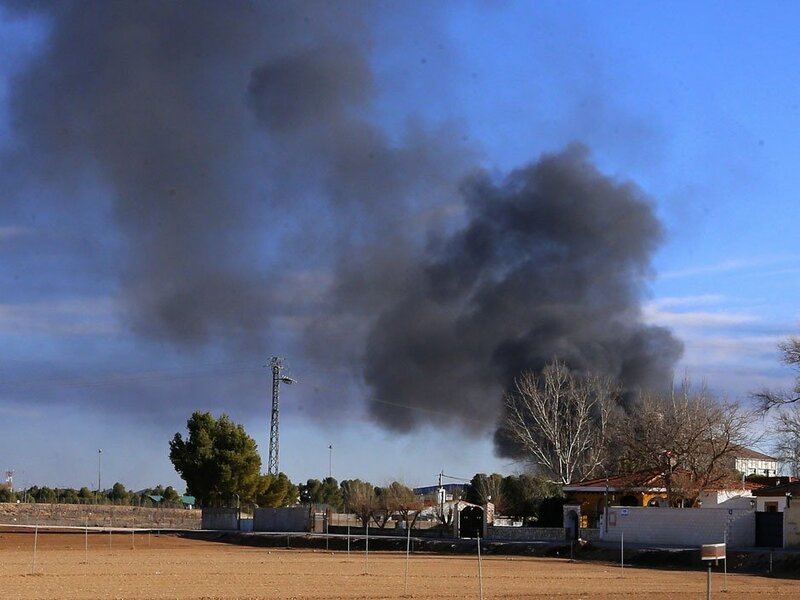 Military officials said that the jet crashed into other planes and exploded at the Los Llanos airbase in Albacete in central Spain. One of the pilots performed a wrong maneuver during take-off, according to local media. Both pilots were killed. Another 13 people have been injured, six of them seriously, according to officials. The crash sent flames and a plume of black smoke billowing into the air. Nine of the injured are Italian, according to the country’s defense ministry, but the nationalities of the rest are unclear. Reports suggest the dead come from different NATO nations, with personnel from the US, Denmark, France, Germany, Italy, Belgium and Britain said to be stationed at the base. Emergency crews are working to extinguish the blaze and find out how much damage has been done to other planes involved in the NATO exercise, the ministry said in a statement. NATO Secretary General Jens Stoltenberg said that he was deeply saddened by the crash. “This is a tragedy which affects the whole NATO family,” he said. A NATO spokeswoman talking to the AP news agency declined to reveal details of the accident. Spanish officials said that the jet was participating in a NATO training exercise called the Tactical Leadership Program (TLP). The TLP is not part of the NATO structure but is an organization formed under an agreement between 10 NATO nations whose aim is to increase the effectiveness of allied air forces through the development of leadership skills.